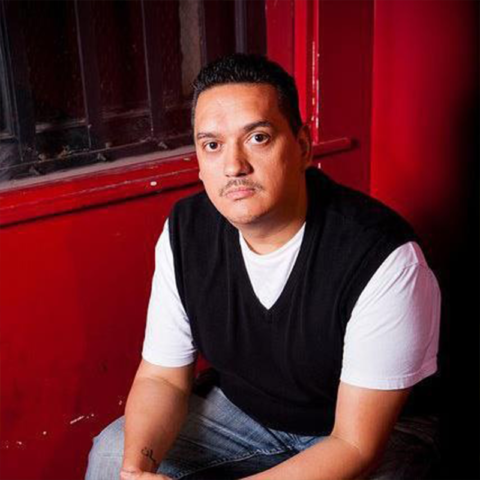 Nelson Host Santiago, a New York City native, deeply rooted in his Puerto Rican heritage, was born in Spanish Harlem and raised in the Bronx. Nelson discerned his innate artistic talent at the tender age of four when one of his uncles introduced him to a series of comic books. It was love at first sight! Influenced by colorful images depicting various superheroes, he began drawing, sketching and painting, producing his earliest works without any formal training. Shortly thereafter, Nelson became captivated by urban hip hop culture and immersed himself into the world of graffiti art. It was at this time that “Host One” emerged unto the city scape. Throughout the following decade, Nelson, aka Host One, actively engaged in Wild Style pieces as well as street bombing on a myriad of metropolitan “canvases”.